Nevosoft is proud to introduce Christmasville for Android. It’s a pleasant holiday mix of puzzles and mini-games. Santa Claus is missing and Christmas is doomed! You, the great private detective Arthur Knight, have been summoned to the North Pole to help! Once you decide to stay, you'll meet many amazing creatures like the Abominable Snowman, Reindeer, and even Elf. 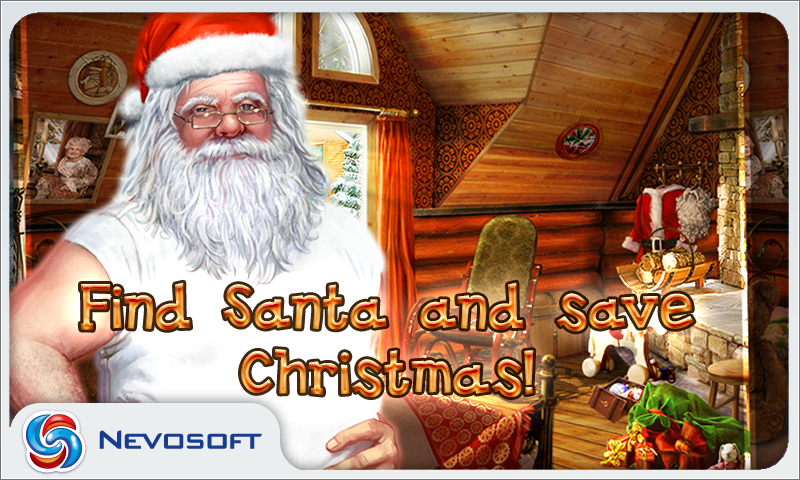 They will help you to discover the truth behind Santa's disappearance, before it's too late! Christmasville is all about locating various objects cleverly hidden in a number of locations. It's from this accrued collection of hundreds of bits and pieces that you must extract the necessary goods. Click on an item to select it, but avoid random clicking. Pressing your mouse haphazardly will result in a time penalty. Hidden object hunts come in three basic varieties. The first requires that you locate objects from a list by name. For example, an abacus, toy soldier, horseshoe, pineapple, paper fan, bowling ball and reindeer. The second variant supplies you with the silhouettes of objects that you need to identify by shape. Then, there are hunts where you must find all items of a certain type such as wrapped presents, bottles or letters of the alphabet. Finally, you have searches based on locating objects that differ in two almost identical side-by-side scenes of the same location. Christmasville will appeal to everyone who loves intriguing stories with good humor. To understand what happened, you’ll need to use your head, gather important clues, solve puzzles and riddles. Nevosoft is proud to introduce Christmasville for Android. It’s a pleasant holiday mix of puzzles and mini-games. Santa Claus is missing and Christmas is doomed! You, the great private detective Arthur Knight, have been summoned to the North Pole to help! Once you decide to stay, you'll meet many amazing creatures like the Abominable Snowman, Reindeer, and even Elf. 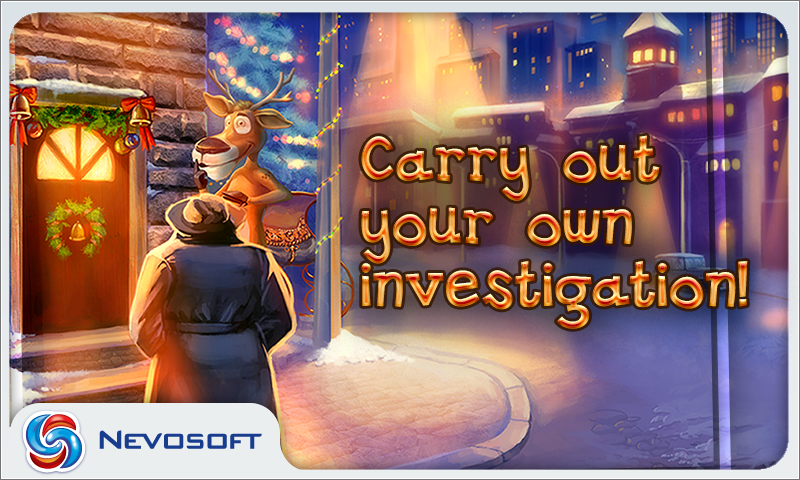 They will help you to discover the truth behind Santa's disappearance, before it's too late! Christmasville is all about locating various objects cleverly hidden in a number of locations. It's from this accrued collection of hundreds of bits and pieces that you must extract the necessary goods. Click on an item to select it, but avoid random clicking. Pressing your mouse haphazardly will result in a time penalty. Hidden object puzzles come in three basic varieties: Finding objects on a list, based on their shape, or all the items of a particular type. With 20 stages of play and multiple levels per stage (around 80 levels in total), there is a fair bit of play in store - about three hours without the dialogue. 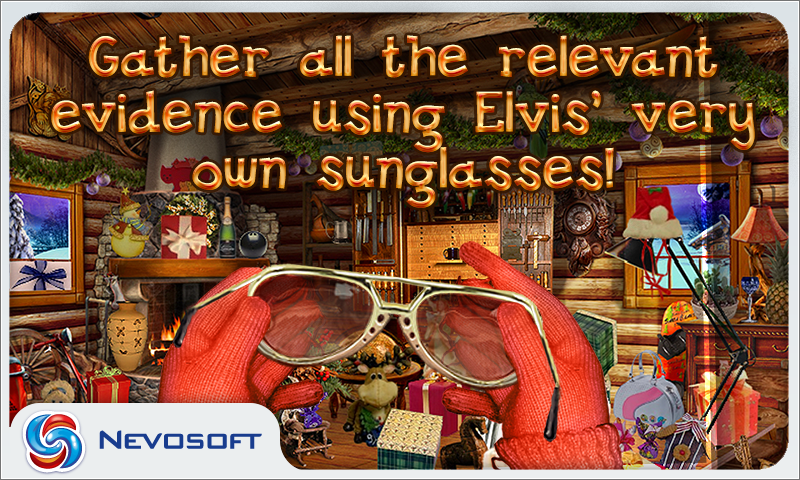 Nevosoft is proud to introduce Christmasville for Android. It’s a pleasant holiday mix of puzzles and mini-games. Santa Claus is missing and Christmas is doomed! You, the great private detective Arthur Knight, have been summoned to the North Pole to help! 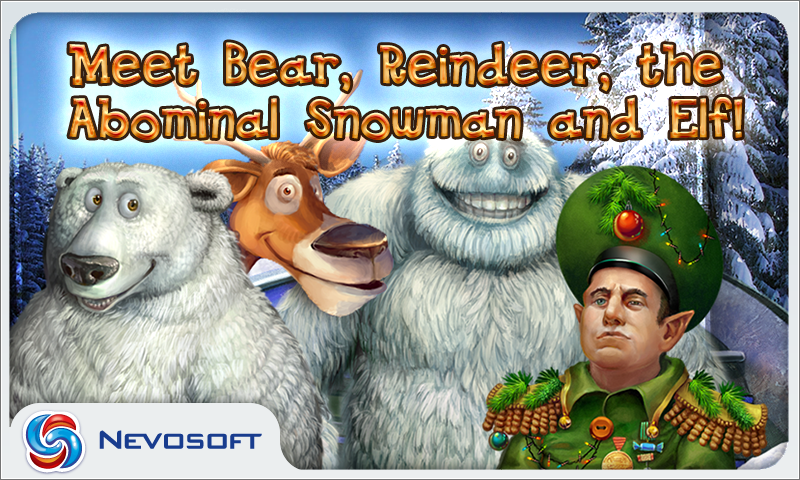 Once you decide to stay, you'll meet many amazing creatures like the Abominable Snowman, Reindeer, and even Elf. 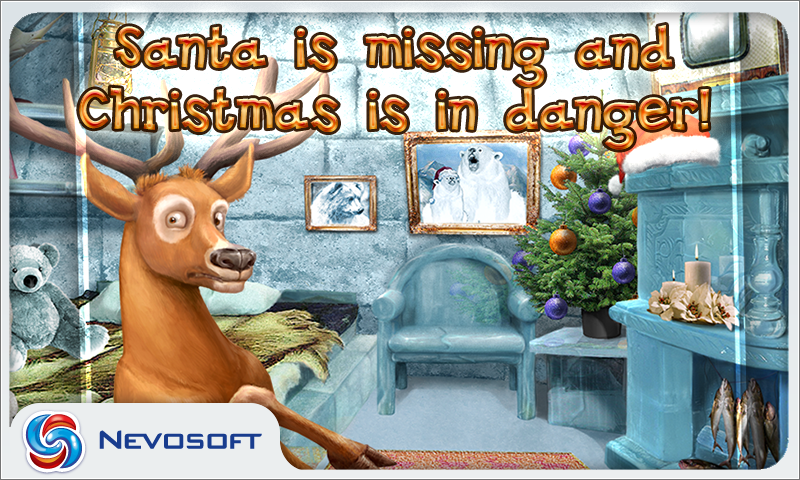 They will help you to discover the truth behind Santa's disappearance, before it's too late!